Go from amateur to expert with more than 30 hours of expert training in photography and photo editing. Nothing catches the eye quite like an amazing photo. You can learn how snap photos like a pro, and give them the polish to stand out with the Ultimate Photography and Photoshop Bundle, available on sale now for 96% off the retail price! Whether you’re hoping to turn photography into a career or you just want to take photos worth sharing on social media, you’ll find the information you need in this educational bundle. 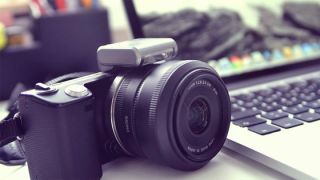 You’ll gain a better understanding of fundamentals of photography and can work your way up through the more than 30 hours of instruction on the most useful features of Photoshop to make your pictures shine. A lifetime membership to the Ultimate Photography and Photoshop Bundle usually retails for $799. Right now, you can save a massive 96% off the retail cost! That means you pay just $24.99 (approx. £20) for in-depth courses on the programs and techniques you need to know best.